Designating relatively small parcels of land as protected areas for wildlife with no habitat management — which has frequently been done in urban-suburban locales around the world — likely does not benefit declining songbird species, according to a team of researchers who studied a long-protected northeastern virgin forest plot. 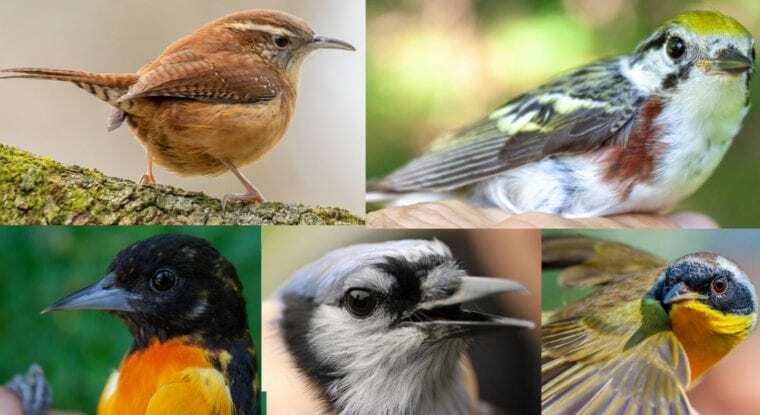 In the study, researchers tracked bird compositional changes using a “within-season repeat sampling protocol.” Using the same locations and methods employed 40 years before to collect birds, researchers documented species gains and losses through time. Using national Breeding Bird Survey data, they also contrasted songbird numbers in the protected area to the surrounding region’s bird population. When Avery was a doctoral student at Rutgers in 2007, he played a key role in getting the bird-banding station restarted in Hutcheson Memorial Forest, duplicating activities conducted during the 1960s. After he graduated and joined Penn State’s faculty, researchers continued to capture and recapture birds with mist nets in the exact same spots with the same frequency as was done 40 years before. The U.S. Department of Agriculture’s National Institute of Food and Agriculture and the Hutcheson Memorial Forest Center supported this research.